As coconuts play a very significant role in the economy of the southern and coastal region of Bangladesh, coconut farming business would be a good choice. Coconuts are used for various purposes, including dried coconut kernels and coconut oil is widely used in soap manufacturing, cosmetics and hair oils. Apart from these, coconuts are also used in many industrial products and its husk is a source of fiber used in the coir industry. Moreover, for health and virgin coconut oil, the tender coconut water is popular and they have a great demand all over the world. Also, fresh coconut kernel without any chemical processes is full of vitamins along with minerals and anti-oxidants. That’s why thus making the coconut oils as “mother of all oils”. 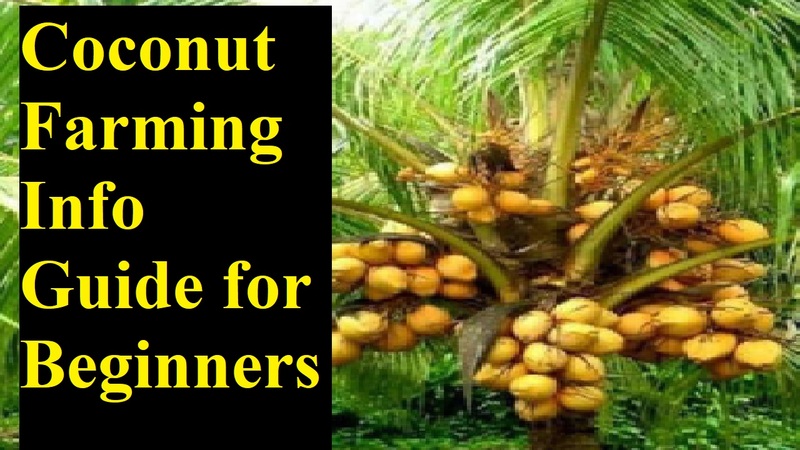 So, coconut farming could a great milestone for the economy of Bangladesh. Coconuts are one of the best healthy fruits that come with various health benefits. From head to toe and from its fiber to water all are useful for human and many other species. For example, tender coconut water is not only good for health but coconut milk is used in many food preparations. It could be an epic to describe the entire health benefits of coconuts, but we’ll learn them with short notes. Well, let’s know what the health benefits are of coconuts. Coconuts help to prevent overweight. They are one of the high sources of dietary fiber. Coconuts are good for heart health. As they have a low glycemic index (GI), they are good for diabetic patients. Improving digestion, they keep motility normal. They boost energy quicker than any other fruits. Improving the immune system, they prevent several diseases. For coconut farming, there are many commercial hybrid varieties of coconut available. While dwarf variety is grown mainly for parent material in hybrid seed production & for tender coconuts, the tall varieties are extensively grown many parts of Bangladesh and another part of Asia. Tall varieties: 1. Benaulim, 2. Laccadive Ordinary, 3. Laccadive Micro, 4. Tiptur, 5. Tall, 6. Kappadam, 7. Komadan & 8. Andaman Ordinary. Dwarf varieties: 1. Chowghat Dwarf Orange, 2. Malayan Yellow Dwarf, 3. Chowghat Dwarf Green, 4. Chowghat Dwarf Yellow & 5. Malayan Orange Dwarf. Water Variety: 1. Bangalore Bondam & 2. Ganga Bondam. Although coconut palm is a tropical fruit plant, it has been grown under various climatic conditions. For their best growth, this crop requires an annual temperature of 27°C for optimum growth and maximum and they can be grown up to an altitude of 700 meters above mean sea level (MSL). Also, their proper growth and higher production require evenly distributed rainfall ranging from 1500 mm to 3000 mm. As red sandy loam, alluvial, literate and coastal sandy well-drained soils rich in organic matter and with a pH ranging from 5.0 to 8.0 are best for its growth and higher yield, the coconut can be grown on a wide variety of soils. While producing coconuts, site selection plays a major role. You should select soil with a minimum depth of 1.2 to 1.5 meter and good water holding capacity for coconut cultivation. And avoid selecting soils with underlying hard rock or soils with water logging and poor drainage. But, you must totally avoid Clayey soils, as they are not suitable for coconut production. Size of the pit depends on the soil type and water table of the soil in any farming as first and foremost. So, pits with the size of 1 x 1 x 1 meter should be dug and filled with topsoil to the height of 40 to 50 cm in loamy soils. But, large pits are recommended and pits size of the 1.2X1.2X1.2 meter should be dug and filled with loose soil, well-rotted farmyard manure like cow dung and ash up to a depth of 55 to 60 cm before planting in literate soils. Also, 2 layers of coconut husk should be placed at the bottom of the pit with a concave surface facing upwards while filling the pits. For prevention of termite attack, BHC 10 % DP should be sprinkled on the coconut husk for moisture conservation. Moreover, the common salt of 2 kg per pit should be applied at least 6 months before the plantation in order to soften the hardpan of the soil. As it will accommodate 178 coconut-palms per 1 hectare, a square system of planting is preferred with a spacing of 7.5 x 7.5 meter. But, it’s practiced in many coconut growing regions of the country to make a space of 7.0 to 10 meters. In coconut farming, propagation is done through seeds. But, in the case of seedling, it can be raised on nursery beds and transplanted in the main field. It should be carried from the first year of the plantation for proper vegetative growth, early flowering and fruit-bearing of the regular manuring and chemical fertilizers. Inorganic fertilizers: The first application is after 3 months of a coconut plantation. Rock phosphate: It requires lateritic and acidic soils as a source of phosphorus. But, for rainfed trees, usually, fertilizers should be applied in 2 split doses during May to June and Sep to Oct months. And 4 or more equal split doses should be carried to avoid heavy rainfall period in case of irrigated palms. But, 1 kg of dolomite should be supplemented from April to May in the plant basins and should be forced into the soil in case of sandy soil with acidic nature. Although coconut palms require 200 to 250 liters of water once in 4 days under basin irrigation conditions in summer, 40 to 45 liters of water/palm/week will increase the yield. But, you should go for drip irrigation in case of the water problem. The open pan evaporation is required of water recommended for drip irrigation is 66 %. But, it depends on the soil type and climatic conditions, irrigating the palms. After the opening of the spathe, coconut palms will be ready for harvesting in about 1 year in general. Based on the need, coconuts are harvested at different intervals. For coconut water purpose, coconuts are harvested at tender stage. But, it depends on the yield of the palms how many times you’ll harvest. As coconut palms can yield up to 60 years, their economic life is about 60 to 65 years.